SUP Is A Fitness Lifestyle: There is nothing better than gliding across the water on a Stand Up Paddle Board! SUP has completely changed our lives, and has been the final compliment to our goal of living a fitness lifestyle. Are you ready to “Get On Board” with the NW Stand up Paddle Board & Fitness life?! Than join us on this amazing journey that has brought so much to our lives, and start your own life changing adventure! Our goal is to share our experiences both good and bad about the paddle boarding world, as well as how physical fitness and SUP go hand in hand, showing how this amazing sport and family friendly recreational hobby can also help you achieve your Fitness Lifestyle goals! Explore our interactive NW SUP Map. It is an ever growing resource of our favorite paddle destinations, with all the details for planning your paddle trips. Make sure to check out the links to related SUP Blogs from our paddle travels with even more details & information including pictures. Our SUP & Fitness Blogs aim to provide you with very informative articles regarding different SUP board shapes, materials, liters of volume and what to look for when purchasing a new or used SUP or iSUP, even how being on the water can help you achieve your fitness goals. You will also find detailed descriptions of water conditions, parking, launch access and all the details that can make or break a SUP paddle trip here in the North West. 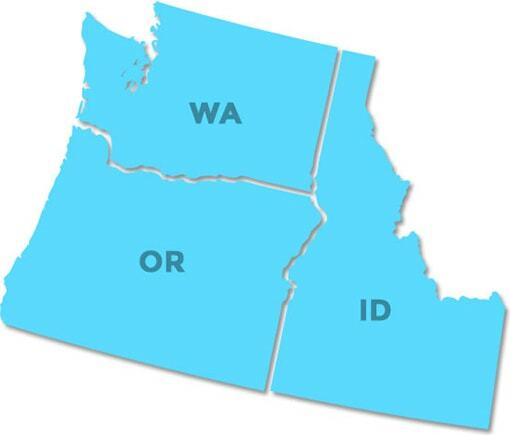 Simply click on your desired state to begin, and we’ll see you on the water! Remember the old adage “change into your workout clothes, and you’ll be twice as likely to actually workout”? Same theory applies here. Just get on the water! 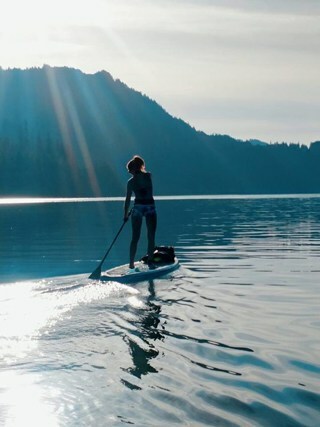 Even if you’re not feeling up to an intense paddle across the lake and back, just get on the water with your SUP board and see where it takes you. 9 times out of 10, we find our competitive nature comes out and we can’t help but push on to that next beach around the corner, then maybe just to that big rock across the lake, maybe a little further to that pretty waterfall in the distance, and before you even realized it you’ve gotten in a great workout! And hey, if all you ended up doing is casually paddling around the lake, you probably burned as many calories as walking on the treadmill and had a lot more fun doing it!